Help fund John's gardener training on Beam. John's campaign has fully funded! 🎉 A Beam employee is now supporting him on his journey through training and into work as a gardener. I've been interested in gardening for a long time. It's good work, it lets me be creative, and it's great to be outdoors! 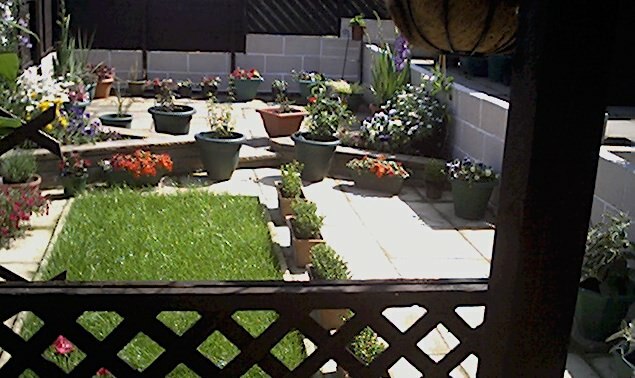 You can see one of my projects in the photo below (I did all the slabbing and fencing). I started out doing work for family and on my own garden. That was up in Glasgow - where I'm from and where I lived for most of my life. But two years ago things took an unexpected turn and I was left without a home. I came to London to look for work but struggled to find anything to pay the rent. I was running out of money and worried about ending up on the street. Thankfully, I found temporary accommodation through the YMCA. I realised gaining new skills would help provide a fresh start. So now I've got my first certificates in horticulture and I'm doing some volunteering in a nearby garden project. It's a job I can see myself doing far into the future. Getting these qualifications puts me one step closer! Even when things have been difficult, I've always stayed motivated. Apart from gardening, a big part of this for me has been my running. I've finished 14 races so far, including three marathons. Now I'm looking to cross a different kind of finish line - thanks for your support in getting me there!